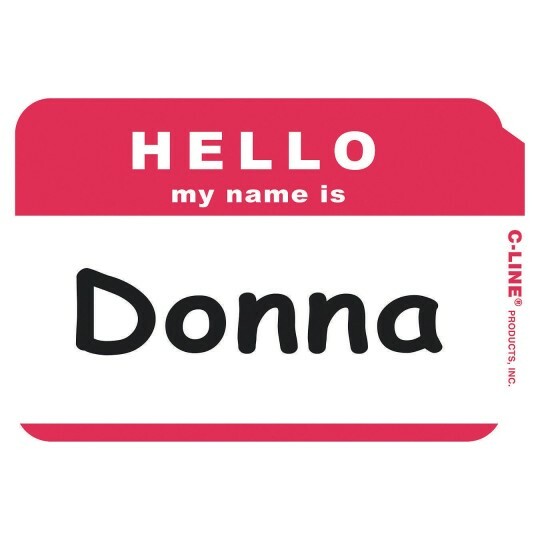 Pressure-sensitive Hello name badges are ideal for small meetings, seminars and conferences. Unique tabbed edge makes it easy to peel off backing paper and apply. Overall badge size: 3-1/2" x 2-1/4". Do not apply to vinyl, leather, suede, corduroy or silk. Red. 100 in a box.